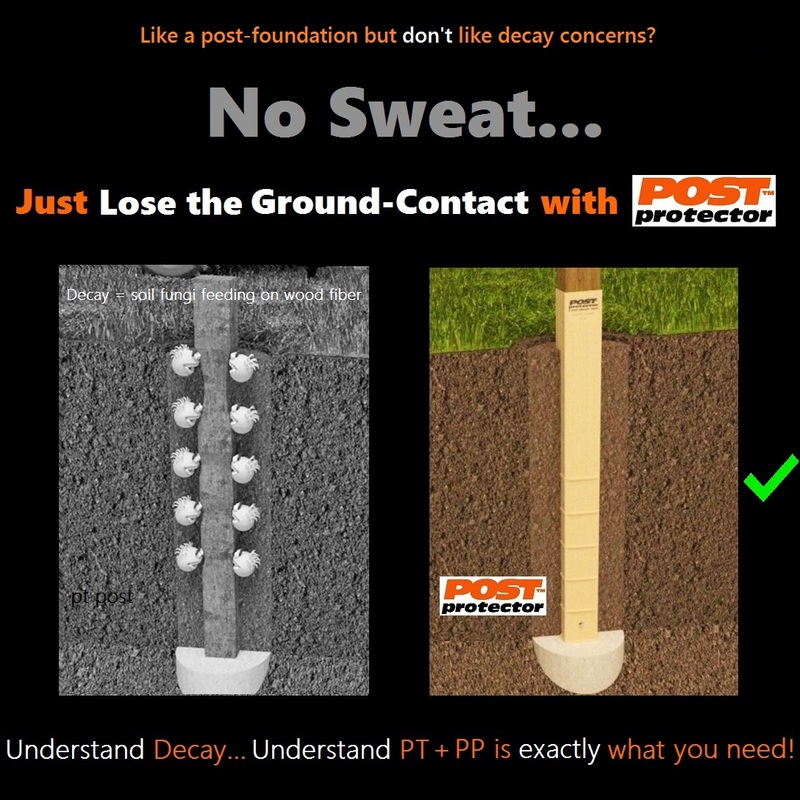 Understand Decay… Understand that Post Protector is Exactly what you Need! 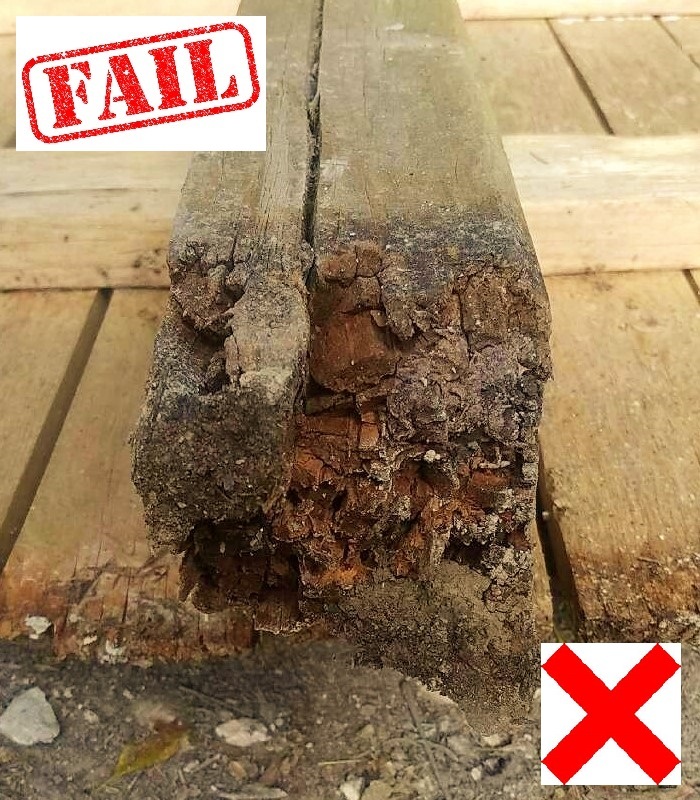 Retain the speed, simplicity, affordability, & strength of a direct burial post foundation without the threat of soil-dwelling microorganism or insect attack. 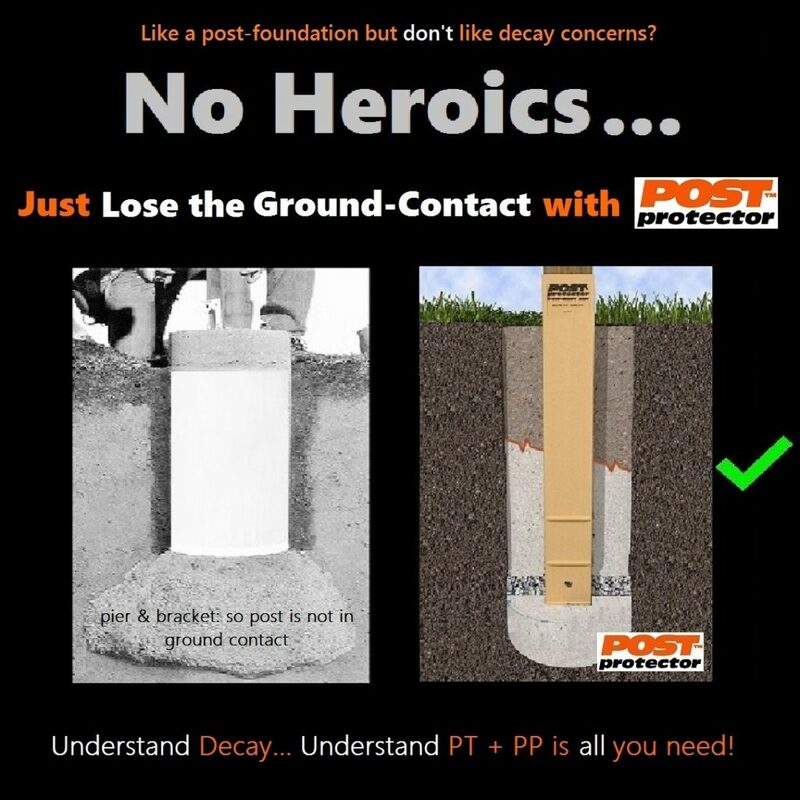 When in concrete back-fill, protect against atmospheric microorganisms at the decay prone grade line. Weed Eater proof too! 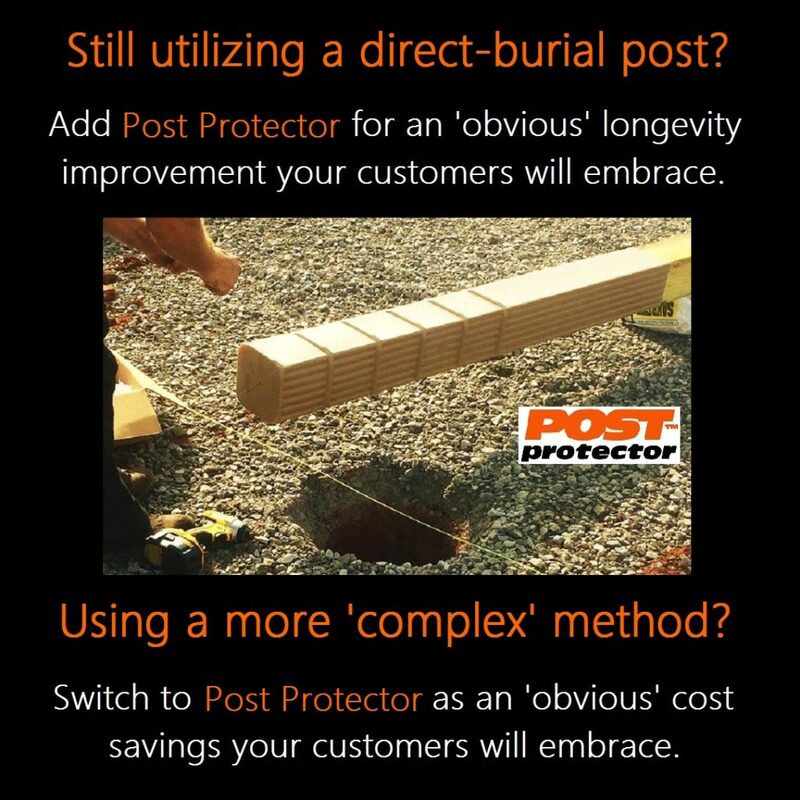 Post Protector.... the perfect complement to any in-ground post! 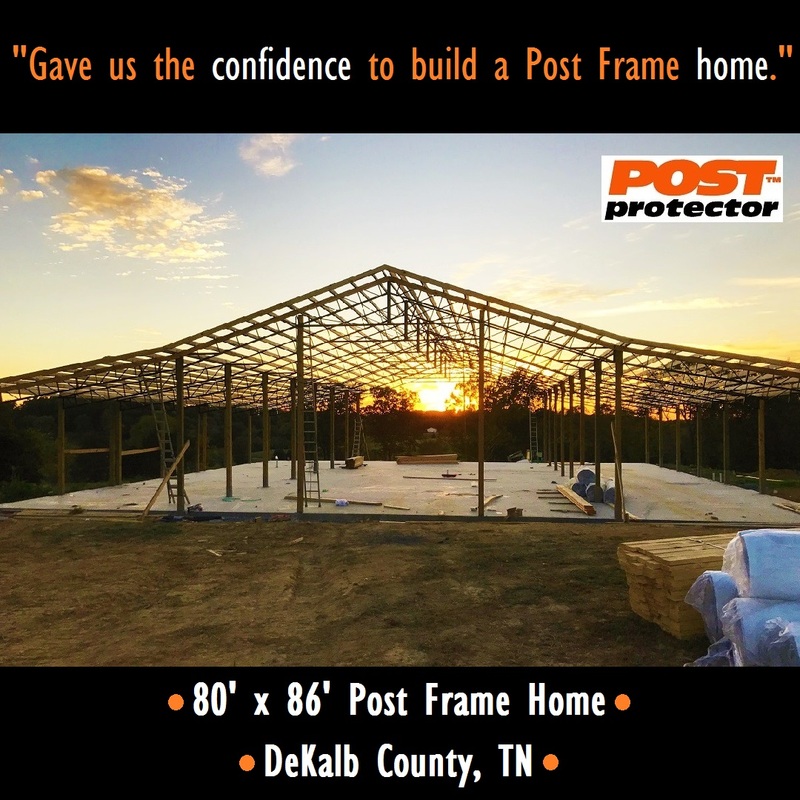 Decks, Pergolas, Pole Barns, Fences or any post-foundation project! Okmulgee County, OK: EC of Winsett Barn Co. sent pics as construction is well under way on this 60' x 225' x 18' warehouse. 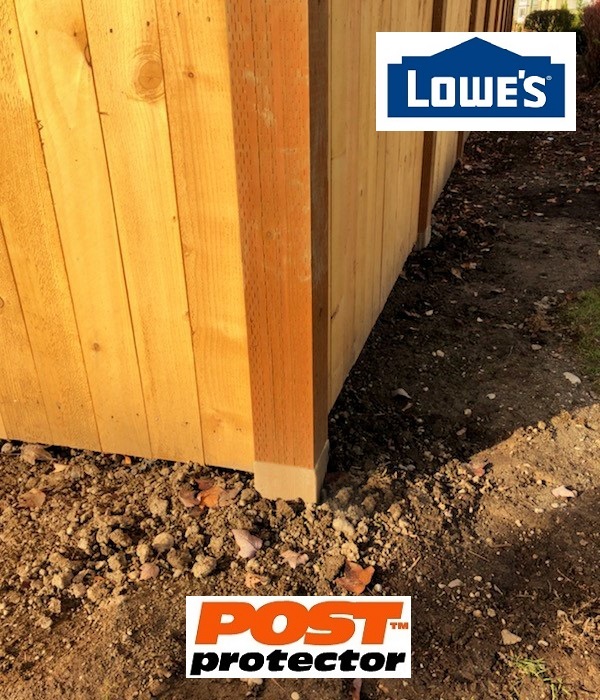 The (111), 5' OC, 6" x 6" foundation posts are prudently protected by Post Protector. 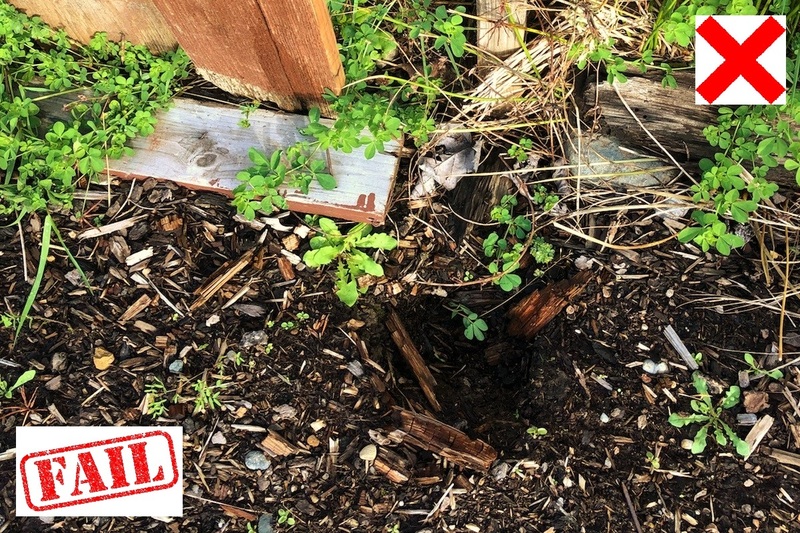 "Our customer was originally drawn to the attractive 'price per square foot' of post frame but having posts in ground-contact, and the longevity concerns associated with that, gave him pause. 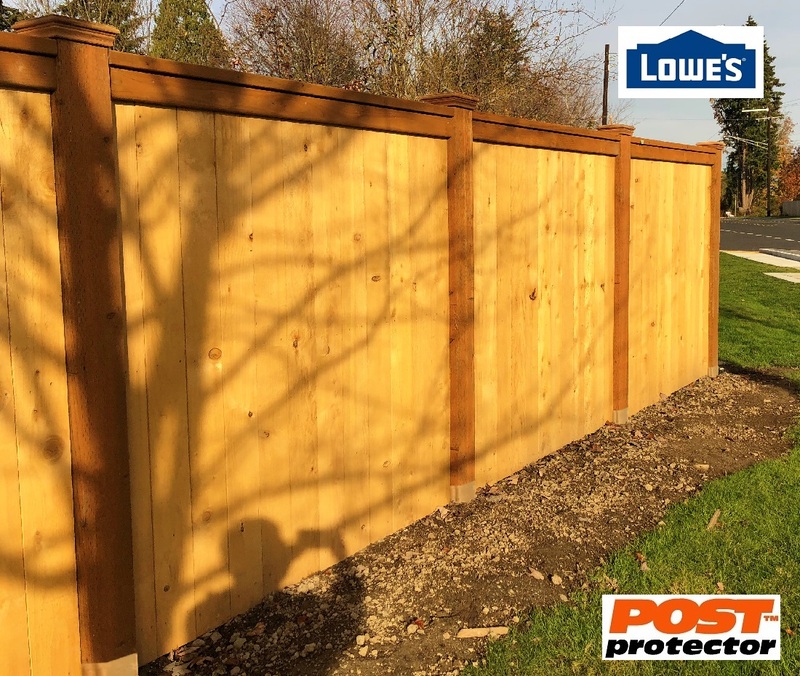 We easily extinguished his concern by introducing Post Protector. 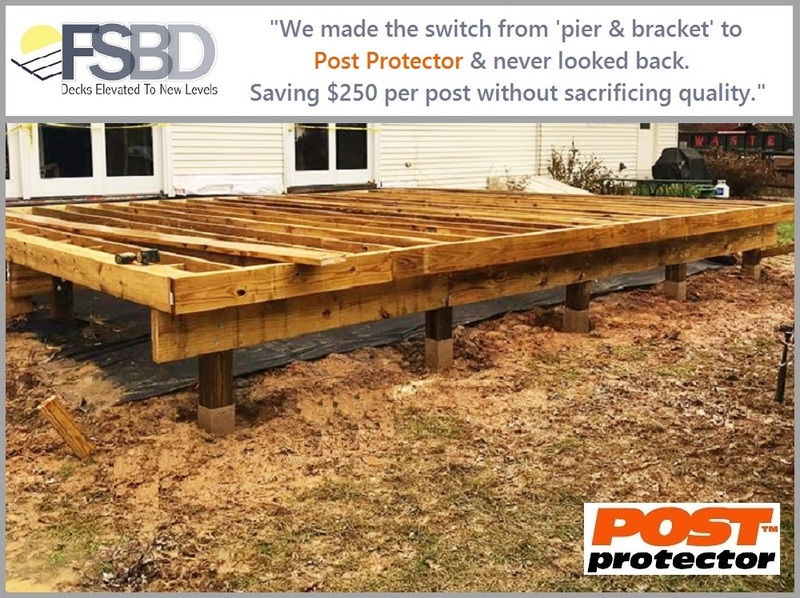 We explained that Post Protector will allow for in-ground installation void of decay causing ground-contact while, preserving the attractive value of post frame construction."